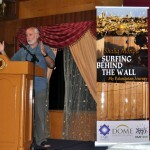 Al-Qalam contributor and Voice of the Cape presenter, Shafiq Morton, launched his second book, Surfing behind the Wall, My Palestinian Journey, in Kuala Lumpur and Singapore this month. Published jointly by Dome Publications and the Kaaf Trust (South Africa) and Fajr Symphony (Malaysia), the book – described as a “distinctive, personal account of historical Palestine” – was well-received. 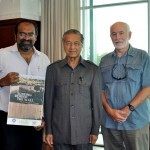 Surfing behind the Wall was launched at the Islamic Museum in Kuala Lumpur followed by a promotional tour to Singapore and Penang. 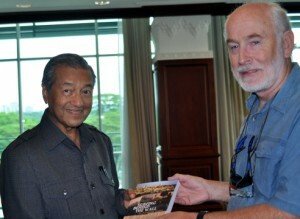 During the tour the author also gave seminars on media for local NGO’s and addressed Yayasan Mendaki, Singapore’s Malay association, on the history of Cape Malays in South Africa. 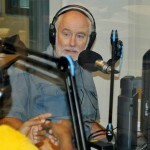 Morton also did a series of shows for BFM 89.9, a Kuala Lumpur based radio station, as well as being interviewed by local print and television media.